This is free copyrighted software licensed only for use on Windows Server 2008 operating system. You are not allowed to modify it, and if you make copies, you must include all of the component files. Click here to download gtpmfgo-101231.zip . This zip file includes the gtpmfgo.exe MPI executable, gamebd.dat and learn.dat data files, gtpproxy.exe, and readme.txt. It's about 31 MB. Unpack all files onto the shared disk of your HPC cluster. The gtpmfgo go engine is a 64-bit executable that rquires MPI to run. It will not run on a single node. 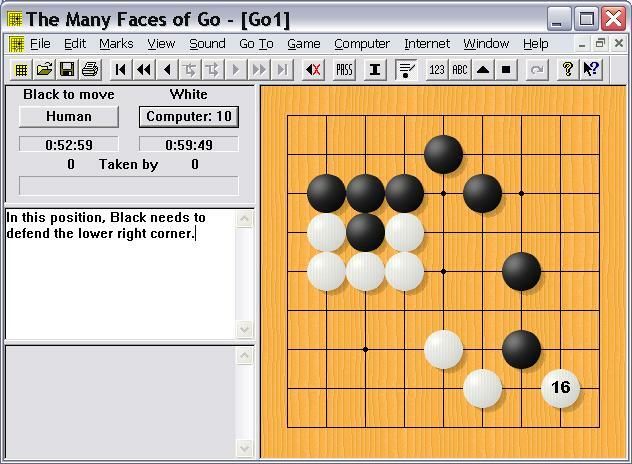 The GTP (Go Text Protocol) is used to communicate with the go engine. Any GUI front end that supports GTP can ideally be used to communciate with the engine, but it has only been tested with The Many Faces of Go. The front end can run on the head node and communicaet using pipes, or it can run on any PC, and communicate via the network, using gtpproxy. Complete instructions are available in the readme.txt file. If there are any issues or questions, please email fotland@smart-games.com. This is currently beta quality software, and will be updated as bugs or issues are reported. It currently is limited to running on a power of two number of nodes, and it will use by default all cores in each node. Arimaa free trial: a new strategy game.If you like Go, you will also like Arimaa, a new two player strategy game. I've written the world champion computer arimaa program.